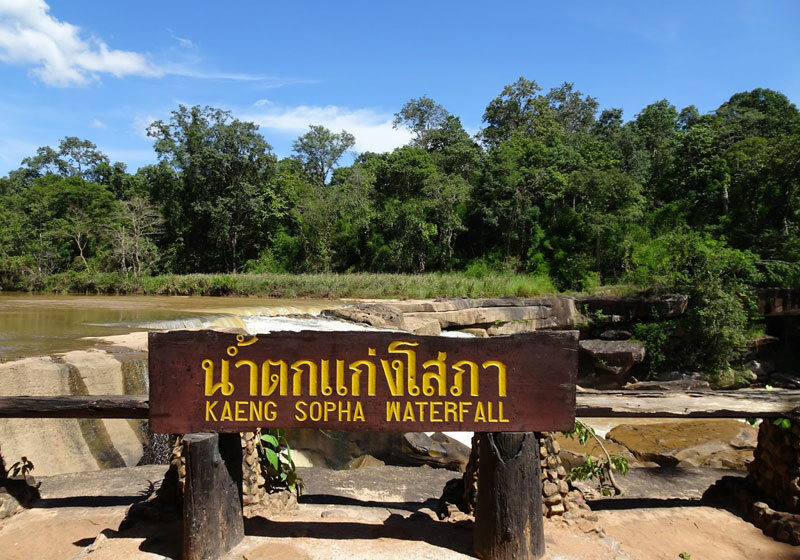 Kaeng Sopha Waterfall, Phitsanulok’s largest, is located 2 kilometers off of Km. 70 marker along Highway No. 12. It is possible to walk around and explore the rocky surroundings especially during the dry season. This 2-tiered waterfall cascades down the steep cliffs to the rocks below providing a different ambience for every season. Short Description: Namtok Kaeng Sopha is a waterfall and tourist attraction in Wang Thong district of Phitsanulok Province in Thailand.